For over 33 years, AultCare has been an industry leader in a competitive health care market. Through innovative plan designs, superior customer service and a cost effective, high quality network, AultCare has continued to keep enrollees and clients satisfied while remaining committed to providing affordable health care options. 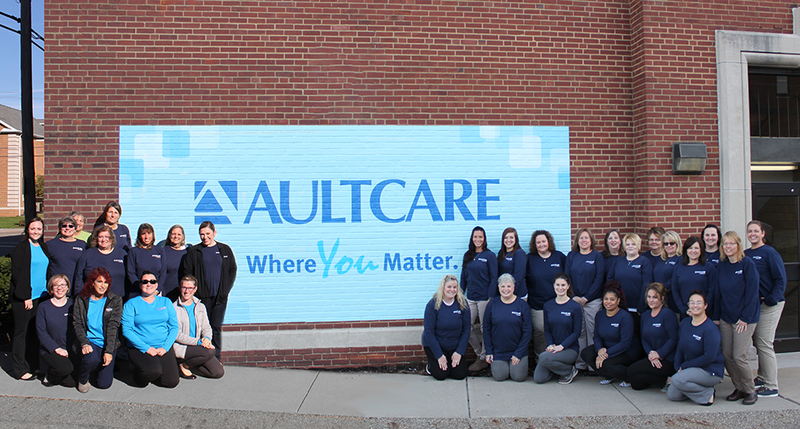 Throughout the years, AultCare has grown to become a valuable asset to our community. AultCare keeps costs lower than other areas in Ohio through our effective, high quality network. Our margins are smaller than national plans because we have accountability to our local community of individuals and employers. During our 30 years as an organization, teamwork has been a steadfast theme and it continues to remain an integral principle in our culture of nearly 500 employees. The unity of our teamwork has allowed us to be at the forefront for offering efficient health care to our community. Additionally, our commitment to teamwork has helped us provide excellent customer service, quality, and cost effective health care planning, which is at the standard core of our philosophy. Superior customer service is also an integral part of our daily business interactions. Due to the complexity of the health care industry, questions from members and employers may arise. All of our employees strive to provide an extra, personalized touch through all member interactions, whether over the phone or in person. AultCare brings a value to health care that is unparalleled in the market. As we continue to evolve, AultCare will welcome your feedback, strive to maintain our position as a steadfast leader in the health care industry, and be proud to serve you. We’ve been here. We’ll be there. Let us show you.